The Dil Pickle Club, 1914-1933. 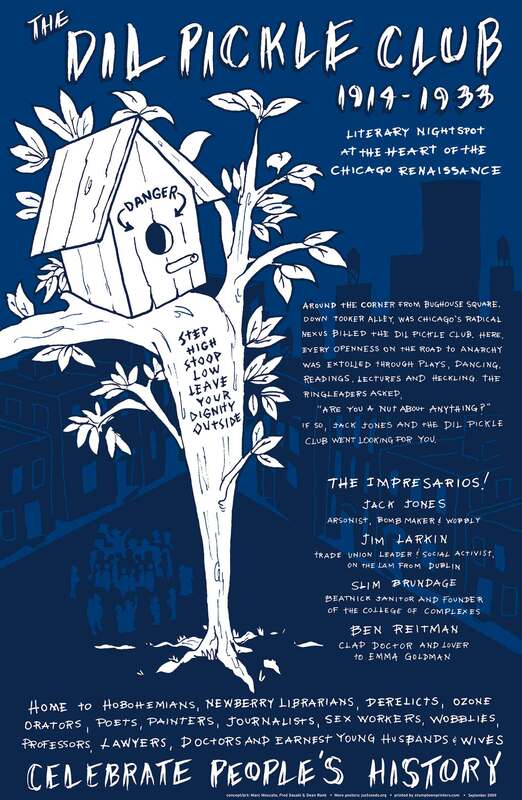 “Literary nightspot at the heart of the Chicago renaissance. 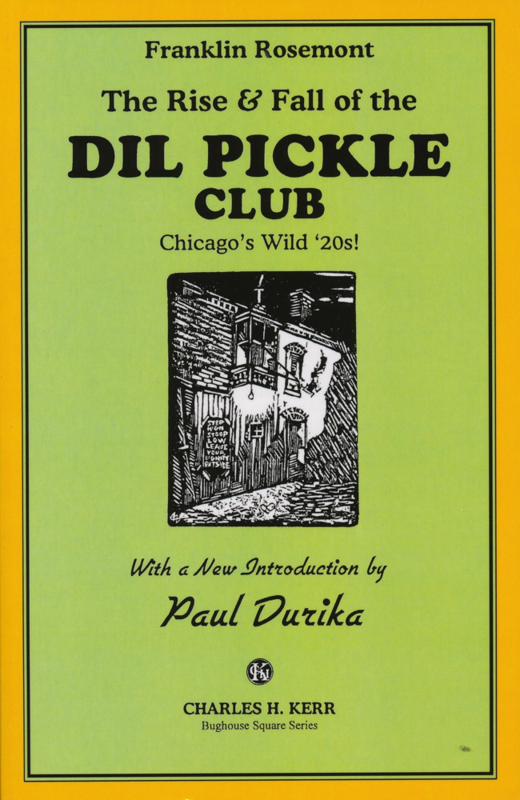 Around the corner from Bughouse Square, down the Tooker Alley, was Chicago’s radical nexus billed The Dil Pickle Club. 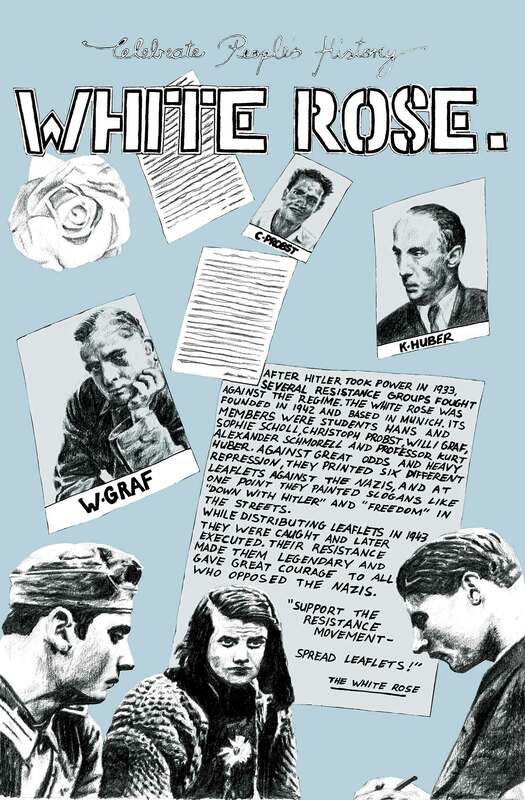 Here, every openness on the road to anarchy was extolled through plays, dancing, readings, lectures and heckling. The ringleaders asked, ‘Are you a nut about anything?’ If so, Jack Jones and the Dil Pickle Club went looking for you.The Impresarios! 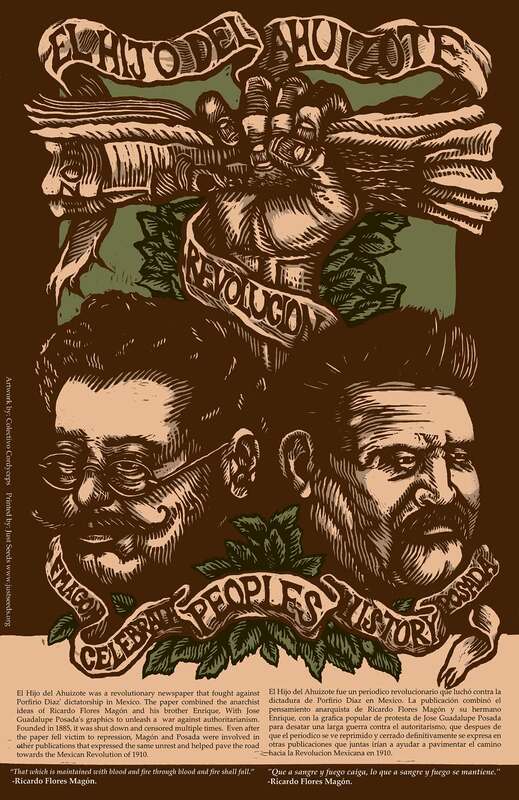 #58 in the Celebrate People’s History. 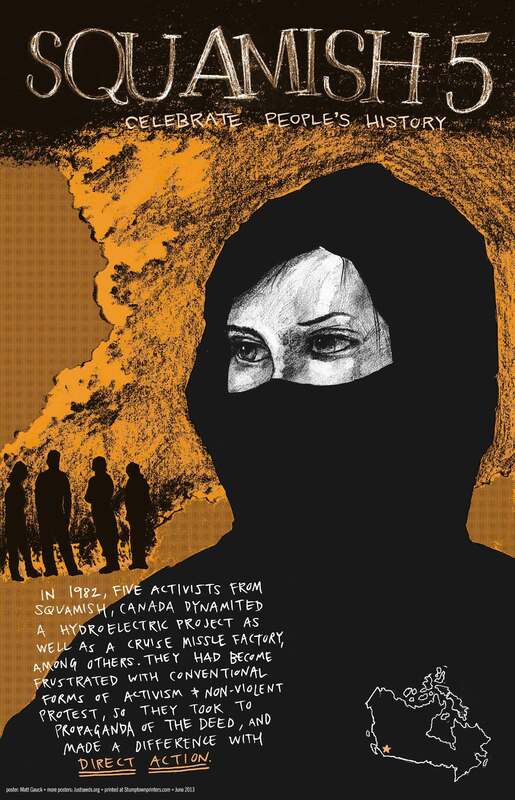 This poster is a full-bleed digital reprint on 80 lbs cardstock.